The bride is the centre of attraction of the wedding day. From friends to relatives to in-laws, everyone has a keen eye on her. Jewellery adorned by her is not only appreciated but also the designs are taken as a reference by near and dear ones. But the jewellery worn by the bride will stay with her as a memory for her life time. Elegant piece of jewellery which goes well with cocktail outfits is a bracelet. If you are the "little the better" kind of girl then bracelets are what you would enjoy wearing. You can either choose to wear single sleek and dainty bracelet or you can go with thick band weaved into to make a statement. They are considered one of the favourites of the bride before and after the wedding. They are light weight Jewellery with beautiful intricate designs. Because they are thin they are wearable with any outfit you wish for. To experiment with your look pair them with bracelet and watch and wear it in one hand to nail the look. 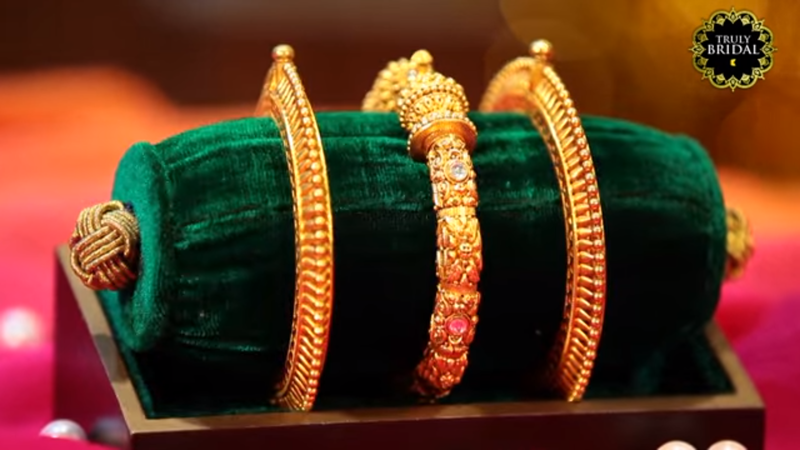 They are a thicker form of churis also known as bangles. Just wear one in each hand with any Indian, western or Indo-western look. You can either choose to team them up with a watch or churis depending upon your outfit. Unlike traditional hath phools we nowadays see a huge variety in them with decorated with collared gemstones etc. You can choose to stand out of the crowd by wearing one with your cocktail/ reception dress or you can wear it with any indo western dress to make a statement and make people talk about your style. They are one of the most looked for Jewellery. You can just pair them with any look you planning. 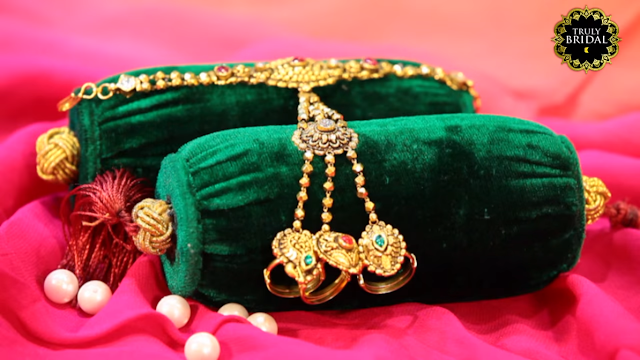 Be it dinner, sangeet or wedding day just pick the right rings and you are sorted. You can also go with mid-rings as they give you a sense of style and make your hands talk louder than words. You can choose rings in gold with gemstones (Read: How to choose wedding ring) or just a platinum bands depending upon your taste. 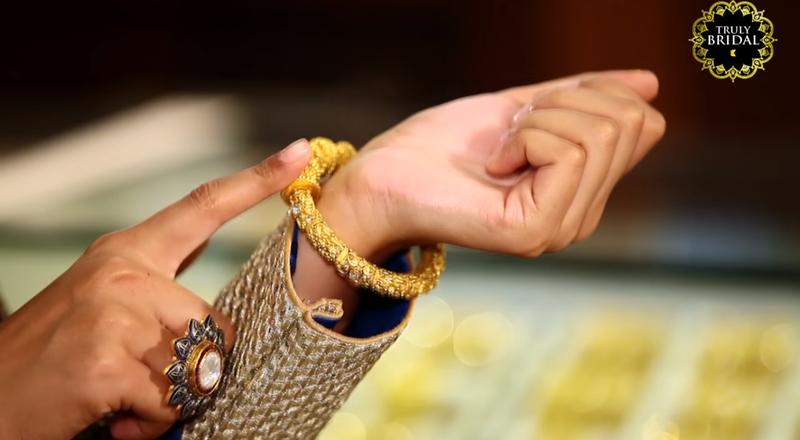 Know more about hand jewellery by watching the video by Truly bridal by Kalyan Jewellers where Shanaya Sardesai will take you through new fashion trends. The collection of hand jewellery for brides appears to be very appealing and tempting to me. And I very much liked the elegant bracelet that has been exhibited. I wish to buy such a bracelet for myself now! Amazing bracelet!! I love to buy jewellery online from thefemall.in.